I had looked, from time to time, to see about upgrading to something better, like Sonos for example, but I could not justify the costs involved. 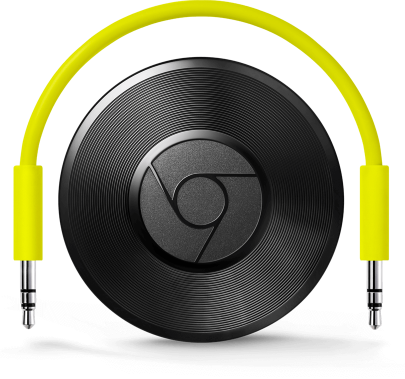 So i was very excited to hear that Google was releasing an audio only version of the popular ChromeCast. These little devices are dirt cheap at only £30 a pop. They also allow you sync them together, to play to multiple rooms. This feature is called audio groups, so you could create a group called ‘All rooms’ and add all the zones to this group. When you cast to ‘All rooms’ it will play in sync to all your zones! One caveat with these devices is that they will require some kind of powered speakers. For this I have opted for a little Lepy LP-2020A amplifier. 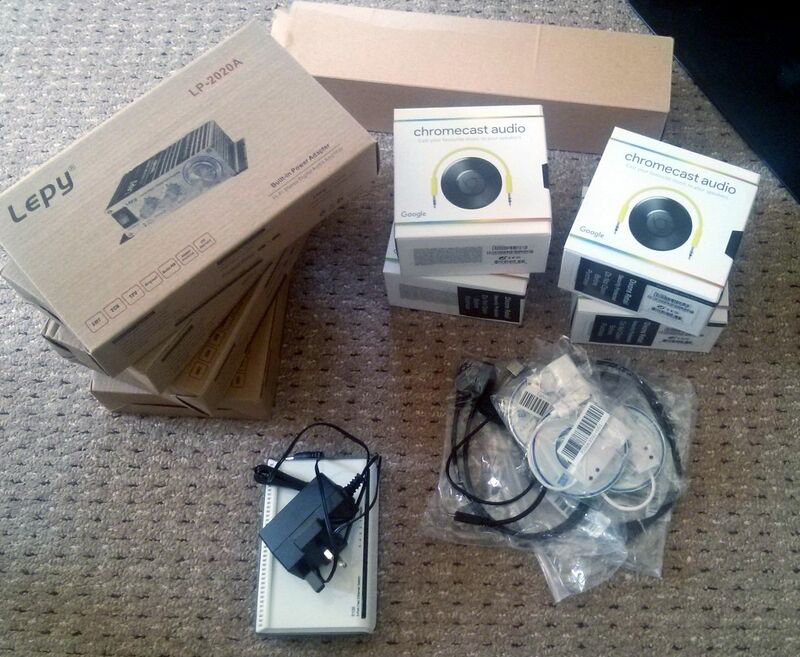 They are cheap (£20ish) and sound great. I did try a number of different models, but found this to have a nice balance of power consumption and sound quality. I have found the ChromeCast Audio works great. However, I did have some issues initially with the wifi only connection. I think this is more down to my wifi signal, but for reliability I needed ethernet! For this you can get an OTG cable (with power) and connect a USB to Ethernet adapter. It appears that it will only work if it has a AX8872 chipset. So with all this covered, the picture below outlines what I have included in 1 zone. Now that this was all working, I just needed to do this for 3 other zones. I also included an old hub/switch for the ethernet and mounted it on a Rack Mount shelf. Overall I'm really happy with the end result. All assembled. I could probably tidy up the wires. Also missing ethernet cables. I am trying to do exactly the same thing as you have done with exactly the same hardware (excluding the ethernet stuff). Can these amps be left on constantly and require access or can you control these just from your phone? I intend to do exactly the same but place the rack in the loft. Unfortunately you can't control them remotely. However, they don't use much power if left on. 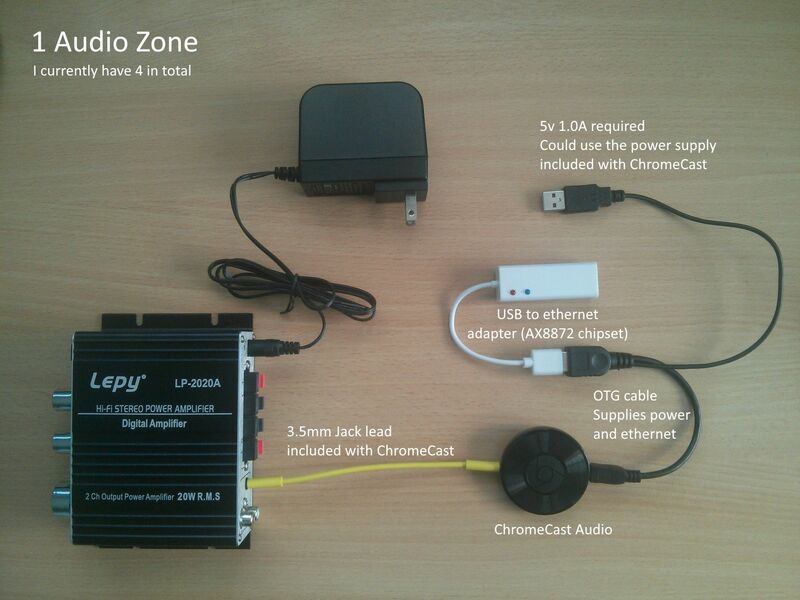 I have the amp at 50% volume (loud) and the ChromeCast and it only uses about 8w power. Surprisingly they don't run hot either. One of my zones drives the garden speakers (4 x 4ohm) at 90% volume (needs a lot to drive them) and it stays cool !! Thanks for the reply Allan. So I assume that when left on they don't produce a buzzing noise or anything like that? Also do you happen to know the wattage of your speakers? I am looking at some 80w speakers but unsure how well that amp will power them. Nope, no buzz. They sound surprisingly good too, especially considering the price of them. I leave the volume at 50% and its more than loud enough. I use 80w 5" 8ohm ceiling mounted speakers in the house. 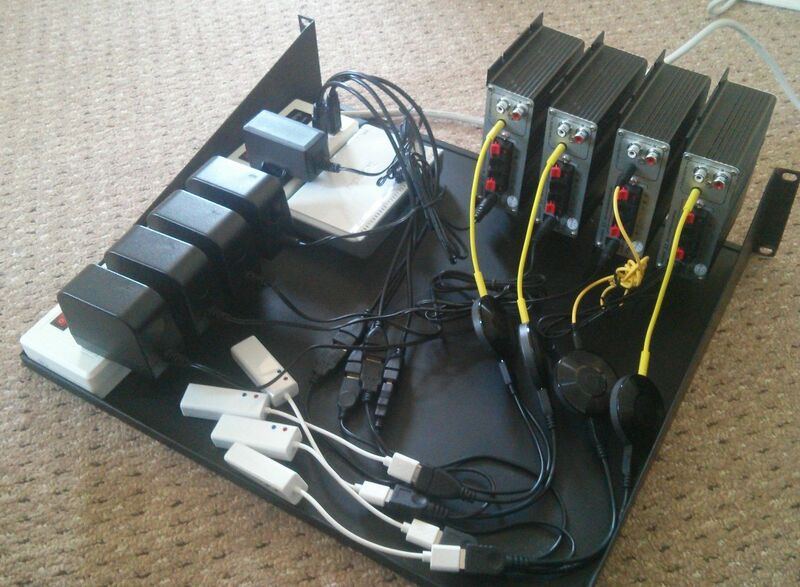 I also have a Lepy amp powering 4 x 4ohm garden speakers wired up in series. I purchased the amp and some speakers, already had CCA. Will see how I get on with my zone. 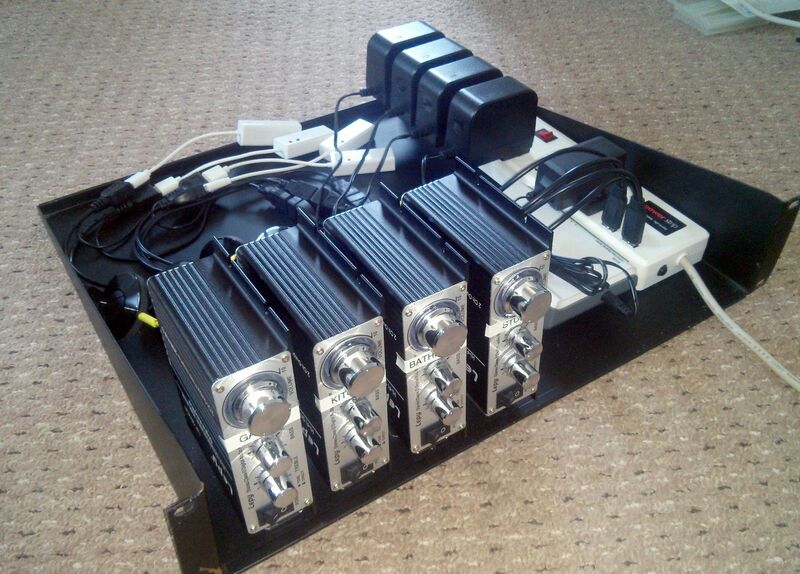 I have a similar system as this but found a whole home 8 channel amp on Craigslist for $150. Works awesome and all voice controlled with google home. If you want to turn them on remotely you can try a WeMo switch. Uses a smart WiFi plug to turn off and on your equipment with your mobile phone.